Your own five star getaway. Heighten your living experiences at Wind Residences. A residential estate that takes it a notch higher by providing what many people have been dreaming of. Wind Residences gives its residents a privileged lifestyle where everyday living is anything but ordinary. As its, resident, one gets to enjoy resort-like amenities and impressive facilities. The residence provides an elegant retreat to its residents all year round without them having to leave their homes. The residence has uniquely personal interests and vibrant sensibilities that give the residents a five star living experience. Discover a new way of life where everything is easy and every day is bliss. The unique blend of work and style that the residence offers gives a thrilling experience to those who reside here. Life is always goof at Wind Residences. Heighten your living experience at Wind Residences by owning one of these luxurious homes. The flexi suites could be all you have been wishing for all your life. Wind Residences offers it residents a unique blend of work-pleasure in a one package; work downstairs and live upstairs. What an excellent life! The world-class facilities offer that life that is searched by many. The fire exits have been strategically placed so as to make it easy to walk out in case of fire break outs. Owning a home in this residence is the best thing one could do for themselves. The blend of convenience, style at comfort is not easily found in this wicked world but here is Wind Residences offering all in one package. The playful but mature taste of design used in making these homes is all one ever needs. The beautiful everything in the homes; the artistic finishing, the world-class furnitures and the plan of the homes are all in the best interests of the residents. The best thing about owning a home here is the fact that the best of the best are at the residents doorstep. The best shops, the best educational institutions, the best medical institutions, the classiest entertainment joints among others. Wind Residences offers its residents to enjoy world-class performances from the five-star entertainment hubs. Wind Residences is the centre of the action. This is like a one stop shop for everyone; fun, peace, investment. These homes are the best description of what a home should be. A place to relax after a long, stressful day is what everyone needs, whether students or working class. The four walls provide all the peace that one needs after this long day. The fact that these homes are in a quaint environment makes it a wonderful place to come to every evening. Shelling out money in the act of purchasing or renting a home is not a good idea at all and that is why Wind Residences have all flexible terms of payment depending one's financial ability. Wind Residences is the choice of the successful and stylish individuals. The vibrant and elegant lifestyle that is only seen in the movies is only brought into the real world. This fast-paced city is proud to be the home of this world-class residence. The exceptional features of this these serene homes are quite inviting both to the eyes and to the soul. This 21st century residential estate has set a mark that other developers have to catch up with. Its proximity to the other major cities and the best shopping malls in Philippine makes its residents' lifestyles characterized by luxury and convenience. An elevated way of living awaits those who want to make a statement in this life at the legendary SMDC Wind Residences. Owning a home here is as easy as gaining those pounds of weight. It is just a phone call away thus the more reason everyone should have a taste of this wonderful life. A home is somewhere one feels happy and at peace while there and this is exactly what Wind Residences offer. First, Wind Residences is close to key destinations in the city. Schools, hospitals, and leisure places are just a few minutes away from the residence. Bring close to these places allows the residents to enjoy the magnificence of the city. Life in Wind Residences makes the residents live large and in a convenient manner. Second, Wind Residences is the perfect place looking for comfort, relaxation and security. The residence has put in place the highest level of security just to make sure that the residents stay safe. Let that kid play out in the green for play is very important for his well being and Wind has him safe. Winf Residences provide premium living experiences to its residents just as it should. The residence never fails to bring the best of the best to its residents. In every single day, the residents get to discover a new way of life where everything is easy and every day is bliss. Notably, the magnificent Wind Resident has top notch amenities within the development just to bring comfort, luxury and satisfaction to its residents. As a resident of the Wind Residences, one gets to live as if it is summer throughout the year. Moreover, they get to have fun in a modern, first-rate lifestyle that is otherwise hard to find. The finest amenities is SMDC's trademark and that is why those cozy gazebos surround the swimming pools. Fun is brought right at the resident's doorsteps. Wind Residences is meant to touch people's lives in every single day. In addition to that, there is an assurance of increase in the residents' property value. Life is about growing both socially and economically. The residents are given an equal opportunity to invest at the comfort of their homes. The ground floor provides an opportunity for commercial activities. This is the best thing ever as it integrates business with social lifestyle. ; play meets work in an exciting and thrilling way. As one owns a home here they thrive in all aspects of life. Finally, Wind Residences is the best place for rental investment, vacation home and a retirement home. For those who need residential units for rental purposes, Wind Residences is the best place to invest in. This is an affordable place to invest in and still expect more. As for a vacation home, Wind Residences is nothing to be disappointed at. The fact that there are world-class amenities and first-rate facilities within the development makes it the ultimate destination during the summer or even when one needs to get away from the ups and downs that they face. This is the st place to unwind after the long weeks at work. Well, as for retirement homes then this is the best decision to ever make. Retirement means that there is no more going to the office and all days to enjoy the lifetime savings that one made during their working days. Wind Residences is the best place to live after retirement as it has got everything that one has ever dreamed of. A condo at Wind Residences is surprisingly affordable considering that they offer what no other condominiums can give. Located at the prime location of the highly urbanized Tagyayay city, the 39 storey building targets students, those working in the nearby schools and families that receive miffle income. For this reason, it cannot afford to be expensive as most students are unemployed. The residence is dedicated to serving and giving a notable lifetime experience to everyone as opposed to making them shell out loads of money. Wind Residences aims at making the lives of students much more exciting as school life is not that pleasant. Wind Residences is also affordable because there are flexible terms of payment for these homes. The residents have a choice of paying for the home the full amount all at once or paying the same amount without any additional interest over a certain period of time. The fact that the residence is close to learning institutions makes it much more affordable because its residents reduce the cost of commuting to and from school. The schools are at most ten minutes away from the residence. Investing in a home at Wind Residences is a wise decision as these homes target the right market. Firstly, Wind Residences target families with middle income thus people will not run away from the homes due to high prices. Second, the payment methods are very flexible thus they do not scare away potential buyers. Third, as an investor, there is an assurance of huge gains from the homes. Wind Residences homes are quite appealing that the idea of living there crosses millions of people's minds thus guaranteeing profits. SMDC Wind Residences in Tagaytay City, Philippines is a premier Condo project available for sale. If you're looking to rent or purchase Wind Residences, then check here first. We have full details of Wind Residences updated regularly as well as everything you need to know about the availing and booking process, broken down into stages that includes selecting a unit, choosing a payment plan and buying your dream home at the right price. For price list, free site tripping or showroom visit, personalized service, model house, unit plans, floor plans, payment terms, CHAT LIVE with an agent 24x7. We are Remax Perfect Homes. Always only buy from PRC licensed Real Estate Brokers and Agents. As everybody knows, Baguio City is the Summer Capital of the Philippines, primarily because of its cooler weather. But incidentally, Tagaytay City is also much cooler than the rest of Southern Luzon and Metro Manila. It is also much nearer from the metropolis. Having a property in Tagaytay, just like the Wind Residences, puts you an edge above the rest. With its affordability and brilliant amenities, plus the perfect weather, the site is a terrific recluse for the family who wants to escape the searing heat of the metropolis and nestled in a paradise which is near and easily accessible anytime. 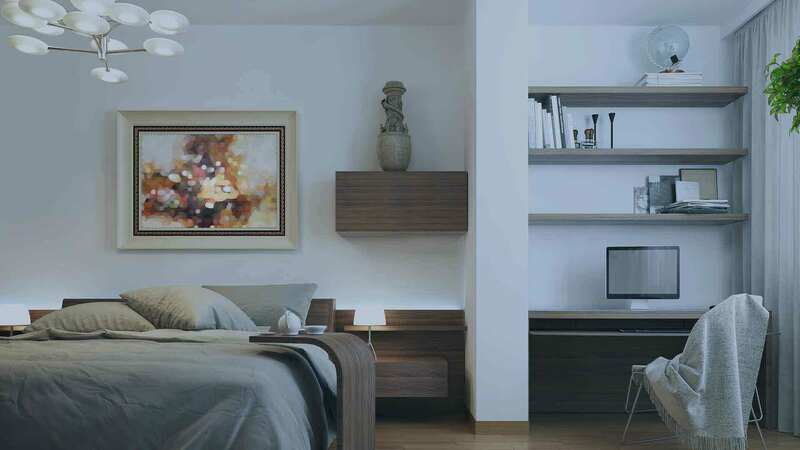 The Wind Residences is easily accessible from Manila via SLEX through the Sta. Rosa- Tagaytay Road passing through Sta. Rosa and Silang and through Aguinaldo Highway. The site is only a short 1-hour drive from Manila. Retirees will surely enjoy the benefits of living in the Wind Residences as they will be treated with the site’s therapeutic amenities that enhance lifestyle-changing activities. Retirees will never be bored here, as there are so many places to unwind and be recharged, like the panoramic view of Taal Volcano, the People’s Palace in the Sky, the SM Sky Ranch Amusement Park, and many other interesting places. So, your hard=earned money will surely be put to good use. The Wind Residences is a perfect spot where you could have a terrific hospitality business. If you don’t want to stay, you have all the freedom to rent out your unit to prospective tenants ( temporary or long term stays) who prefer a much cozy refuge aside from a conventional hotel. Tagaytay City attracts more tourists (local and foreign) annually compared to any other towns and cities in Cavite. Just alert the Wind Residences’ Property Management Office on site for a proper coordination of your interest. Then, they will do the rest.